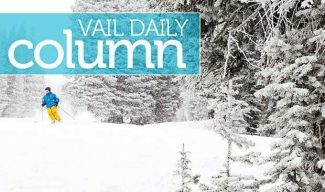 EAGLE — Two men who allegedly robbed their way up Cottonwood Pass on Tuesday will have to come up with $25,000 to bond out of jail. Robert Lee Larsen was so beat up after wrecking a stolen car that he wore a hospital gown over his orange jail pants and shoes during his first court appearance Thursday. He’ll have time to rest and recuperate after Judge Katharine Sullivan set bond for both Larsen and co-defendant Tony Kelly at $25,000 cash. The two men, both 33 years old and both from Glenwood Springs, were arrested Tuesday on Cottonwood Pass south of Gypsum. Police say they wrecked two vehicles and a motorcycle they allegedly stole, and tried to set one of them on fire. Police said they were drunk at the time of the incident. “There is probable cause for your detention,” Sullivan said as she set the bond during Thursday’s brief court appearance. Larsen was booked on 17 charges, Kelly on eight. Both are being held in the Eagle County jail. Prosecutors have just over a week to decide what the two men will be charged with. Kelly was already free on bond for a felony in Glenwood Springs and a long list of priors. He was on parole at the time of this incident. “The co-defendant (Kelly) did flee the police in this case. The only reason he (Larsen) did not flee is because of his injuries,” said prosecutor Gordon McLaughlin. Late Tuesday afternoon, Eagle County sheriff’s deputies and the Colorado State Patrol were called to a rollover accident on Cottonwood Pass road south of Gypsum. The rollover involved two vehicles, a Jeep and an Audi. 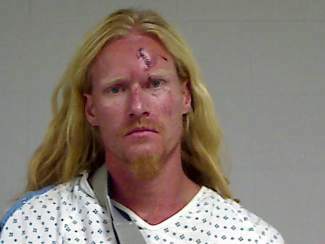 Larsen was intoxicated when he wrecked the Jeep, police said. He was ejected from the Jeep and was seriously injured. Paramedics took him to the Vail Valley Medical Center for treatment. The wrecked Jeep had been stolen from a residence on Cottonwood Pass Road. Nearby, police found the Audi stashed in tall sagebrush that the two had allegedly tried to set on fire before fleeing the scene. That Audi had been stolen earlier Tuesday in Glenwood Springs, police said. Police quickly set off to search for him, led by an Eagle County Sheriff Office K-9. Police said Kelly was also intoxicated when he was found. When police searched the Jeep they found several firearms and a small motorcycle that had also been stolen in the Cottonwood Pass area. Sheriff’s deputies located the owner of the stolen items who lived in the Cottonwood Pass area. Police say the suspects had burglarized the residence around the time the Jeep was stolen. Larsen and Kelly were booked into the Eagle County jail on charges including felony motor vehicle theft, felony burglary, felony arson, felony theft, felony trespass, felony possession of a firearm by a previous offender, felony habitual traffic offender, violation of a protection order concerning no use of alcohol and other traffic offenses and misdemeanors. 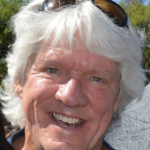 Staff Writer Randy Wyrick can be reached at 970-748-2935 or rwyrick@ vaildaily.com.